. Millions of people visit a different kind of websites in search of getting the best price, cashback offers, deals, discounts, coupons and much more. Now you don’t need to do that. Compare Munafa is the best online store which helps buyers to select the best deals by comparing prices, products while offering added advantage of discount and cashback on every purchase. 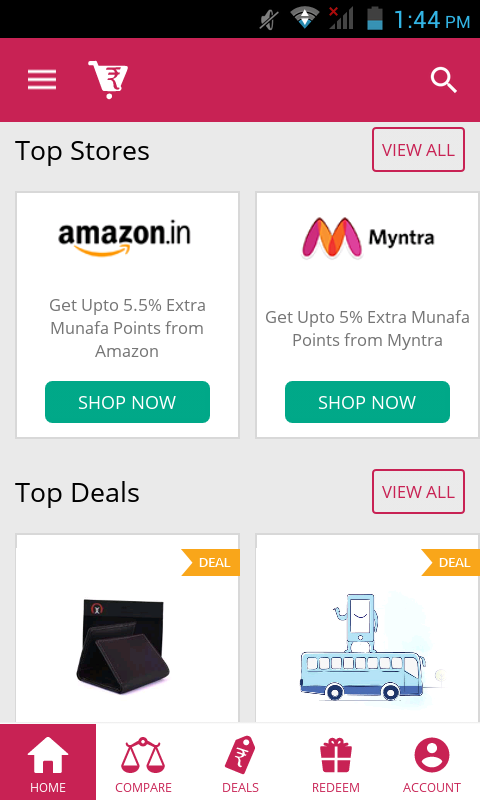 Compare Munafa compares more than 250 online stores including Flipkart, Amazon, Paytm, Snapdeal, Shopclues, Homeshop18, Myntra and a lot more to give you the best price list. Thus, it will help you to save your money and quality time. Users can search their favorite products and can find deals/coupons from various categories like like electronics (tablets, laptops, mobile phones, cameras, washing machine, T.V, refrigerator) Home and Kitchen appliances, flight tickets, books, travel, hotels, bill payments, fashion (men, women, kids) media and books.